In the first Servant Song we saw that the Servant King will provide freedom, self-respect and justice for all. In the second Servant Song it was revealed that the Servant Prophet will bring comfort to people and have compassion on the afflicted. For the third Song we saw that this Servant Disciple will live a perfect life of discipleship, to show that it is attainable and that a life of total obedience to God and trust in God for all things is possible. Then we saw in the last chapter that there will be a big homecoming for the people of Israel and for all nations. During the previous Servant Songs, we saw glimpses of the suffering this Servant who is both a King and Prophet will endure. Now in this section, this Servant Song we get the full picture of suffering and why He must suffer. This is how people will on the last day be consummated with God and attention is now back on him as 52:13 states “Behold, my servant”. Echoing previous passages of where the Servant is God’s. It is as if we are meant to understand that nothing that has been said before is as important as this passage. Without this passage of Scripture, none of the rest makes sense. Let us discover together why that is so by downloading and listening to the Podcast using the links below. Then we come to a mounting anticipation with baited breath. Quickly the phrase “Awake! Awake!” is repeated, as if to give a sense of urgency. The exodus from Egypt, an event remembered well by the nation of Israel and alluded to in Isaiah 51:9-10, will be surpassed by a new age of righteousness at the end of time. All those “ransomed by the Lord”, those set free by God will enter the city of God with joyous singing which will be their crown! Sorrow and sadness will no longer exist! Gladness and joy will be triumphant! Alleluia! Despite many obstacles in the way, the Lord God will reign triumphant. His Messiah, His Servant will deliver you. His Servant will be triumphant. After discovering some of the things that will identity the Servant in the first Servant song and finding the Servant’s mission in the second Servant song, we now see obedience in this the third Servant song. It is obedience of God and trust in God regardless of spite, evil, malice and bitterness. From verse 4 we see that the Servant is willing to learn. This willingness to learn is a lifelong learning as indicated in the phrase “morning by morning”. Each morning the Servant awakes and is ready to be fully obedient to God throughout the day. On top of that his words have power. He is able to give comfort and counsel as He consoles the weary, despised and rejected. Those people who like Him are undergoing trials, temptations and having to endure. This Servant in no way rebels against God, and this Servant is sinless and offers faultless obedience to God (v5). Nothing will stop Him from living a life of obedience to God, hence not retreating or hiding (v6). In Isaiah 49:1-13, we have it is universally called the second Servant song, and here the Servant Himself is speaking! We have no idea of his actual name, but He does have a name (Isaiah 49:1)! In the first Servant song, with the dispensing of justice as part of His identity, the Servant is a King! But not just a King, something more as well! In this song, the Servant appears as if He is a prophet by the things He is saying. He was called Isaiah 49:1) just as Jeremiah was. The words He speaks are as if a double-edged sword (Isaiah 49:2). Despite the opposition (Isaiah 49:4), He perseveres to gain the reward and to glorify God (Isaiah 49:3). What is His name? We find His name is Israel! Not the nation of Israel itself, but as a person who embodies all that Israel was meant to be and do. This Servant would glorify God in all His ways. This servant is a Prophet who is also a King. This Servant is a perfect incarnation of God’s light, covenant and salvation. To find out more about this Servant's Mission, download the mp3 using the links below. In Isaiah 42, we have what is almost universally called “The 1st Servant Song”. In this book of Isaiah, one of the key words is “Servant”. In Isaiah 41, the nation of Israel is also called a “Servant of God”. Isaiah himself has been called a servant of God (Isaiah 20:3). However, here in Isaiah 42, it is as if the phrase “Servant of God” has taken on a new meaning – someone who is unique, special. God Himself is speaking, and announcing “my Servant”. By looking further into what God says, we know it cannot be Israel. If anything, Israel is the bruised reed or dimly burning wick. Remember Israel was to be a light to the nations and reflect God to the whole world. In chapter 41, Isaiah describes Israel as always complaining resentfully, fearful, discouraged and embittered. Later in Isaiah 42, we see Israel described as blind, deaf and disobedient. This is not the ideal that Israel was to aspire to, but rather one person who would be God’s response to Israel’s failure and weakness. So, what does the rest of this passage tell of the identity of the Servant, the Messiah whom God would send? 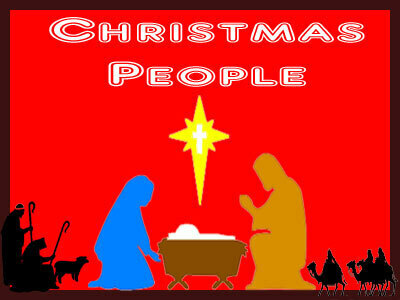 The birth of Jesus Christ is the most celebrated around the world. These celebrations are diverse and transcend cultures, peoples, and languages. Of course, most people stop with Jesus being a baby and continue no further with Him. Jesus Christ is the most unique person in history. Jesus Christ is also the most divisive person to be found at anytime and anywhere. Almost everyone has an opinion about Him, even if that opinion is based on ignorance, silence or misinformation. Christians believe that Jesus’ birth was the culmination of thousands of years of God telling the world that He was coming. From the time of the Fall when people showed active rebellion and disobedience towards God in Genesis 3, God was planning the time when He would step into history as a saviour or messiah. Christians believe that Jesus Christ is this messiah. Throughout the Old Testament, we see that the birth, life and mission of this Messiah is the aim and focus of attention. We see it in the stories of people such as Abraham and Moses. We see it in the nation of Israel, which was to be God’s light to all the nations. We see it in the Israelite sacrificial system and law. We see it during the time of the Judges and the Kings. We especially see it through the prophets. The whole Old Testament is joined together, because it all speaks about this Messiah baby, Jesus Christ. This baby, who was both 100% human and 100% divine, grew in wisdom and stature. This baby was born in order that He would die on a cross some 33 years later. He did not die for his own sins, but for the sins of the entire world – all past, present and future sins. This baby was born to die so that the entire world may have life and life everlasting, if an individual chooses to accept it. As we go through this adventure, we start together, by looking only at what two people from the Old Testament, had to say about Jesus Christ. These two people we know as Isaiah and Zechariah. Let’s start the adventure together by looking at an introduction to these two books of the Bible. 6 There was a man sent from God whose name was John. 7 He came as a witness to testify concerning that light, so that through him all might believe. 8 He himself was not the light; he came only as a witness to the light. 9 The true light that gives light to everyone was coming into the world. 10 He was in the world, and though the world was made through him, the world did not recognise him. 16 Out of his fullness we have all received grace in place of grace already given. 17 For the law was given through Moses; grace and truth came through Jesus Christ. 18 No one has ever seen God, but the one and only Son, who is himself God and[b] is in the closest relationship with the Father, has made him known. 3 When King Herod heard this he was disturbed, and all Jerusalem with him. 4 When he had called together all the people’s chief priests and teachers of the law, he asked them where the Messiah was to be born. 9 After they had heard the king, they went on their way, and the star they had seen when it rose went ahead of them until it stopped over the place where the child was. 10 When they saw the star, they were overjoyed. 11 On coming to the house, they saw the child with his mother Mary, and they bowed down and worshipped him. Then they opened their treasures and presented him with gifts of gold, frankincense and myrrh. 12 And having been warned in a dream not to go back to Herod, they returned to their country by another route. 15 When the angels had left them and gone into heaven, the shepherds said to one another, ‘Let’s go to Bethlehem and see this thing that has happened, which the Lord has told us about.’ 16 So they hurried off and found Mary and Joseph, and the baby, who was lying in the manger. 17 When they had seen him, they spread the word concerning what had been told them about this child, 18 and all who heard it were amazed at what the shepherds said to them. 19 But Mary treasured up all these things and pondered them in her heart. 20 The shepherds returned, glorifying and praising God for all the things they had heard and seen, which were just as they had been told. Whenever we look at Christmas, it is inevitable that we begin to think about the characters involved in the original events surrounding the birth of Jesus. We start with Joseph, quite often the forgotten man of the story. 22 All this took place to fulfil what the Lord had said through the prophet: 23 ‘The virgin will conceive and give birth to a son, and they will call him Immanuel’ (which means ‘God with us’). 24 When Joseph woke up, he did what the angel of the Lord had commanded him and took Mary home as his wife. 25 But he did not consummate their marriage until she gave birth to a son. And he gave him the name, Jesus. 29 Mary was greatly troubled at his words and wondered what kind of greeting this might be. 30 But the angel said to her, ‘Do not be afraid, Mary, you have found favour with God. 31 You will conceive and give birth to a son, and you are to call him Jesus. 35 The angel answered, ‘The Holy Spirit will come on you, and the power of the Most High will overshadow you. So the holy one to be born will be called the Son of God. 38 ‘I am the Lord’s servant,’ Mary answered. ‘May your word to me be fulfilled.’ Then the angel left her. Ahhh here is Mary. Mary, to whom was given the great privilege and awesome responsibility of carrying and giving birth to God’s Son, the Messiah. Part 6 - Is the New World Translation Reliable? To answer that question I would like us to consider what Jehovah Witnesses say about Jesus Christ being the co- creator of the World. They say that "all that exists was created by Jehovah; Jesus was the first to be created then God used Jesus as His working partner to create the rest of creation." The apostle Paul writes in Colossians 1:15-16, referring to Jesus Christ: "He is the image of the invisible God, the first born over all creation. For by Him all things were created: things in heaven and on earth, visible and invisible, whether thrones or powers or rulers or authorities; all things were created by him and for him. He is before all things, and in him all things hold together. And he is the head of the body, the church; he is the beginning and the first born from among the dead, so that in everything he might have the supremacy." Jesus Christ - created or Creator? So the subject here is the supremacy of Christ. When you read the verses here in context this is easily seen without trying to make it say something else . To do so would make it a perversion. If God is the creator of heaven and earth then Jesus Christ can be no lower than God . Genesis1:1; "In the beginning God created the heaven and the earth" In Colossians 1 there are several important verses that Jehovah Witnesses twist to try to prove that Jesus was not eternal. That he was created. Colossi ans 1 in their New World Translation is differently interpreted to fit their "reasonable" beliefs. You will see the words "first born of all creation" but what do they mean? Yes they most definitely refer to Jesus Christ but what is being said about Him here? The Greek word 'prototokos' does not mean created. as we may think but rather refers to sovereignty. Jesus was pre-eminent over all creation. I am given to understand that this Greek word 'prototokos' occurs 8 times in the New Testament and no where does it mean 'creation' If Paul had wanted to say that Jesus was created then he would have used a different word, 'protoktistos' Jehovah Witnesses have given the wrong meaning to the word 'first born' in this verse. Sadly I have to add that The New World Translation with no legitimate justification adds the word 'other' into Colossians 1:16; and into five other places in this first chapter of Colossians in an attempt to make it appear that Jesus was a created being , lesser than Jehovah. v17 "Also He is before all 'other' things and by means of Him all (other ) things were made to exist." v20 "And through Him to reconcile again to Himself all (other) things." There is no need for adding the word other to the texts here referred to. To do so destroys the natural context of the passage and improperly implies that Jesus Christ himself is a creature. Since Jehovah God created the heavens and the earth and all that is therein (Isaiah 44;24; Hebrews 3;4;) and Paul's letter to the Colossians calls Jesus Christ the Creator we can justifiably declare that Jesus Christ is Jehovah God. The only conclusion we can come to when seeing what the translators have done here is that once again for them it is not reasonable to accept this truth as it does not fit into their "reasonable" thinking so they had to change it. It is clearly seen that The New World Translation is not the work of competent scholars bur rather the work of those who want to push the doctrines of the Watchtower. In the forward of the NWT it states "It is a very responsible thing to translate the Holy Scriptures from the original languages." We would agree very much to that but we wish they had lived up to that high principle. The word 'other' is in brackets in the NWT and the reason is given as follows "Brackets enclose words inserted to complete the sense in the English Text." The truth is that the bracketed words alter the meaning of the text. Likewise in Revelation 3:14; the NWT translates that verse wrongly, referring again to Jesus having been created. A more accurate translation renders it this way "These are the words of the Amen, the faithful and true witness, the Ruler of God's Creation." As we draw to the close of this study may I say how deeply concerned I am to all those Jehovah Witnesses who have been led along a downward slippery path of deception. I meet in the same coffee house as they do twice a week and I know they believe what they do is right and believe in what they are told but if I try to show them a better way they have ears closed because they are taught they are the teachers and the only holders of truth. I persist as I know I in myself alone will never convince them of truth but by the power of the Holy Spirit and through prayer they may well come to the knowledge of the truth and be set free. 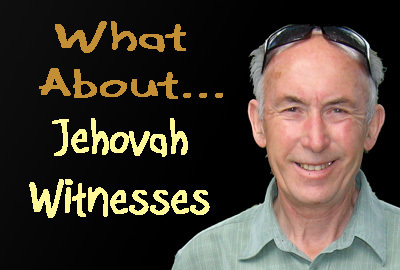 Is it any wonder that one who has come out from that organisation has written a book with a startling title "I was a Watchtower slave" That is how he saw himself and how they need deliverance and someone to tell them the simple plain gospel that "Christ Jesus came into the world to save sinners and that Christ is the only Saviour we need. No organisation can save. Jesus Christ said "I am The Way, the Truth and the life no one comes to the Father but by me. " He alone is worthy and trustworthy. Believe on the Lord Jesus Christ and you will be saved. Next time we shall be thinking about 'The New Birth, Life after death and Salvation .